More than twenty years on, Jean de Florette and its sequel Manon des Sources is still considered by critics to be one of the greatest French films of all times, and I just happen to agree. Set in the 1920’s, Claude Berri’s direction captures both the atmosphere and changing seasons of Provence, and the best and worst of human nature. An evocative adaptation of Marcel Pagnol’s novel, it tells the story of the scheming Soubeyran’s who conspire to block the only water source for the adjoining property owned by village newcomer, Jean de Florette. It’s a savoury tale of human greed, revenge, unrequited love, mistaken vendettas and unforgiving fate. It’s got more drama than the Real Housewives of Beverly Hills. Since contracting adult chicken pox and being house bound for more than a week, I was able to watch this film many times. Then I wanted to visit Provence, big time. But instead, I just scratched myself and eventually became inspired enough to seek out my diary about the time we visited the villages where it was filmed. At no time however, was I inspired enough to do the dishes. The village scenes of ‘Roumarin’, procession scenes and the fountain. As we step out of our rented red Peugeot, it’s hard to keep the smile off our faces. 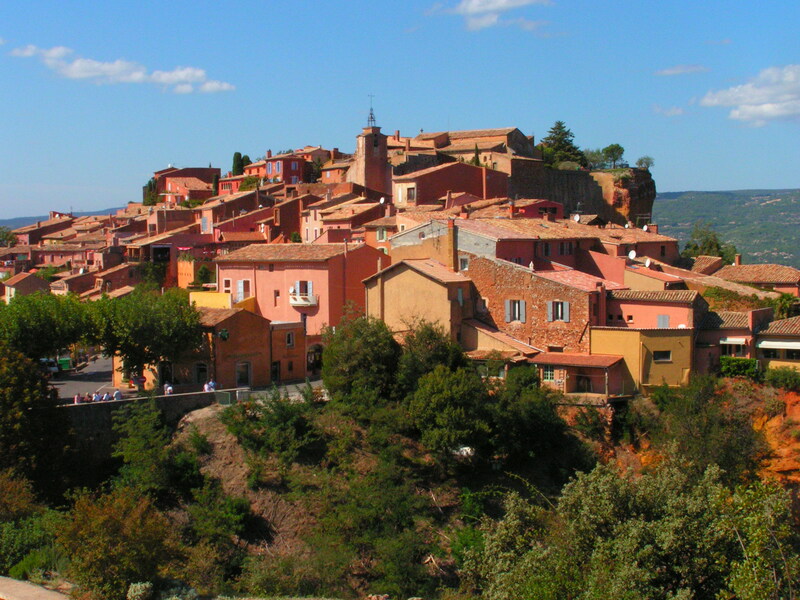 Located in the hills outside of Aix-en-Provence, Mirabaeu is as picturesque as it gets. A tiny and quiet town, it consists of a few shops, a school, church and a medieval castle all of which is surrounded by stunning national park. Strolling around the streets, one can almost hear the haunting opening melody, borrowed from Verdi’s Force of Destiny, played on harmonica. As cicadas chirp and butterflies flutter by, one is truly immersed in the landscape of Jean de Florette. Mirabeau was closed off for about five months, relates Gillette the owner of Cafe de la Fontaine, which was also featured in the films. The facades of the surrounding buildings were all replaced with painted polystyrene to age them and many of the townsfolk played extras. But it’s the fountain in the village square that takes centre stage. The films central theme revolves around water, or the lack of it, with the fountain being of primary symbolic importance. 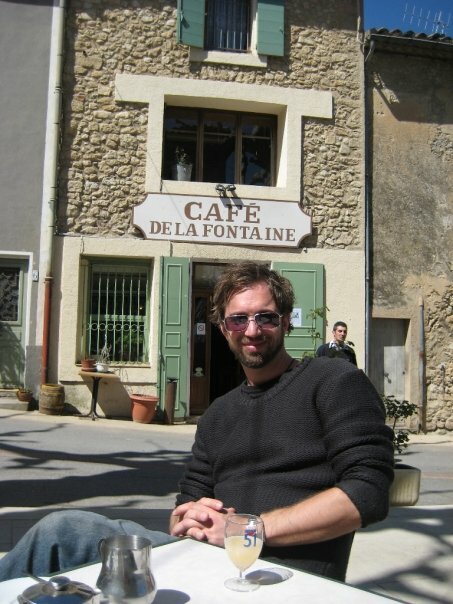 And for my husband it was drinking a pastis, beside the fountain in its square, that took centre stage. Would he like another one? OUI! The church of Holy Barthélémy, used for Manon’s wedding, place Ugolin’s grave and the pivotal scene where Papet learns the truth. Surrounded by vineyards, olive groves and almond trees, the town of Vaugines is everything you expect a small Provencial town to be. Set against the southern slope of the Loumarin mountains, it’s small winding streets are flanked by beautiful stone houses, the air thick with wild thyme and rosemary. At the end of the village lies the historic 12thC Romanesque church, flanked at its entrance by five grand and glorious plane trees. We arrived at the church around 4pm, just as the sun was beginning to lose its sting. To our disappointment we discovered the church closed, but were happy enough to meander through the grounds. Out the corner of my eye, I spied an elderly woman that was making her approach. Voila! It was the bell ringer here to open the church and of course, ring the bells! She gave us a little tour and considering I have a husband that speaks French, it was luck to the power of two. The crusade towards Papet’s house is best discovered pre-Pastis, as we discovered, rather than post. The paths are a little wild, with rocky outlays and many opportunities for wrong turns, so it’s best to take with you the map from the Aubagne tourist office, otherwise by the end of the day the cicadas will be the only things that are still chirpy. What places do you dream of running away to, when you have over 200 red dots on your body? Adult chickenpox! Oh no! Hope the reminiscing has helped take your mind off it. 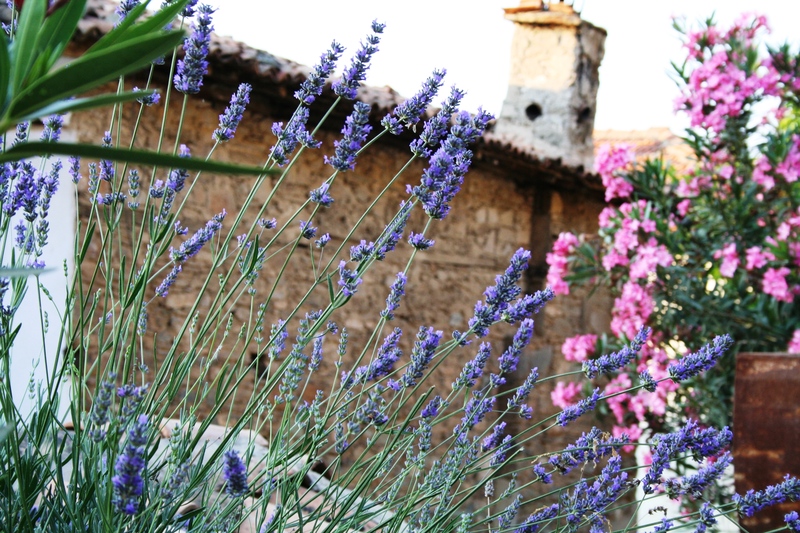 I’d love to visit Provence. Yes, I scratched a bit less for a while anyway! Oohh the deep south, that would be so much fun and great food too! Oh Italy, maybe that will be my next stop! It’s much easier to travel around these parts, nothing is ever too far away unlike big Australia! OK…some films I’ve never heard of but clearly need to watch! You’ve convinced me. Good luck with the pox. oh la la! that sounds like the worst trip ever! Chicken Pox has been hovering around us lately, with all my nieces and nephews getting them. I have felt like hiding to keep away from them, and if I have to hide somewhere, Salzburg would be the place for me. Salzburg would be a great runaway place, and you could do the sound of music tour too, bonus! Thanks! that makes me very, very happy!! !